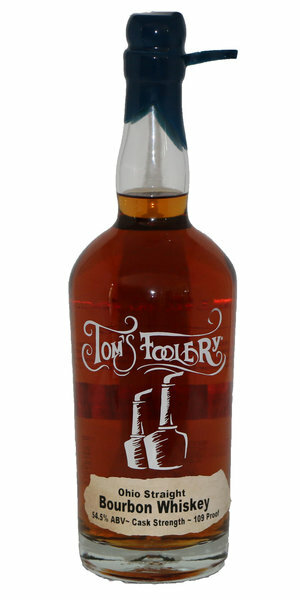 Our Core Products are Bourbon, Rye, Applejack, & Gin. We distill all our spirits from scratch here at our farm-distillery. 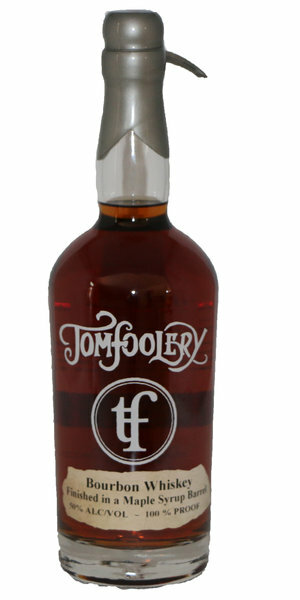 When we started Tom's Foolery in 2008, we planned to distill just one product. Applejack. 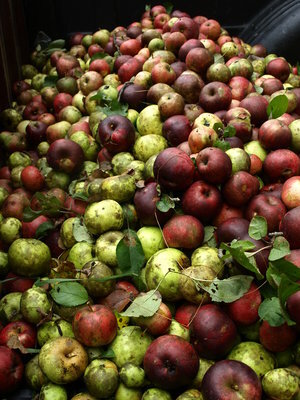 Our applejack is entirely distilled from fresh, whole apples. We never add any sugar, coloring, or flavoring. In the tradition of great apple brandy producers in Europe, we double distill our applejack in copper pot stills, and then age it in oak barrels for about four years. 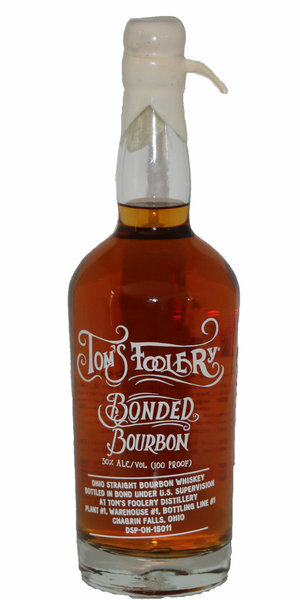 We age this brandy in a variety of barrels, which include: used cognac barrels, used bourbon barrels, used applejack barrels, new wine barrels, used wine barrels, and new charred oak barrels. Our main product in this category is our straight, 90 proof expression. However, we sometimes release other expressions, which can include single barrels, cask-strength, and bottled-in-bond. This american classic is distilled from corn that we grow right here at our own 115 acre farm. 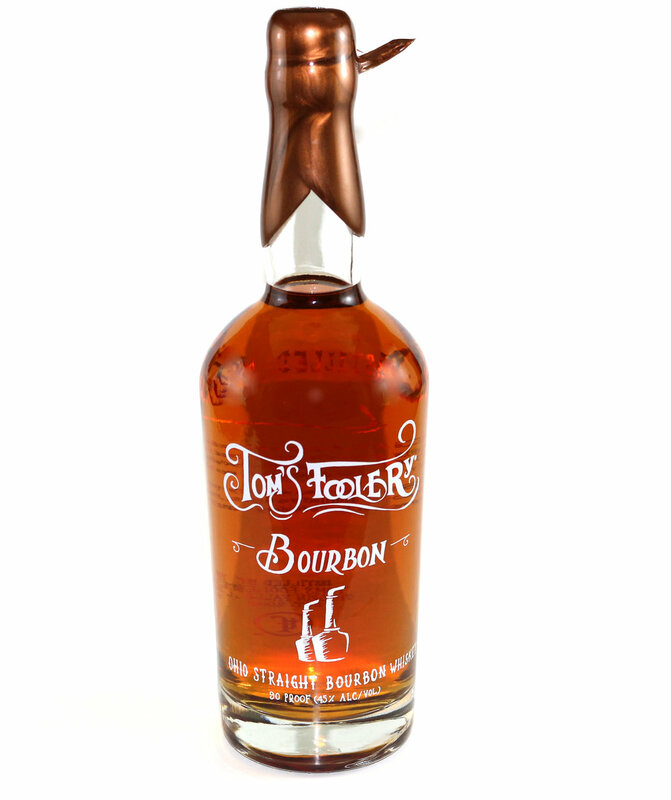 Our bourbon typically has 54% corn, 23% rye, and 23% barley malt. But, we vary the mash bill slightly for each batch. 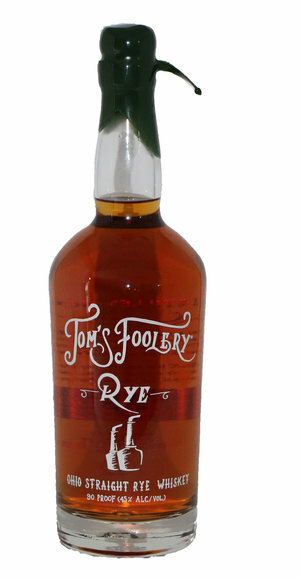 We distill rye whiskey from rye and rye malt. Today we grow most of the rye grain that we distill right here at our farm. 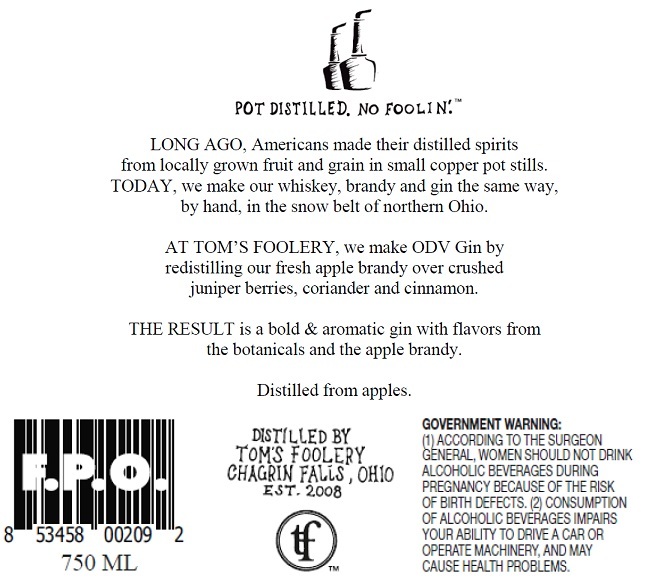 We distill Tom’s Foolery ODV Gin from Apples. First, we double distill hard apple cider and make an unaged apple brandy. Then, we add botanicals (juniper, corriander, and cinnamon) to the apple brandy, let it rest over night, and then distill it a third time. Most gins are made from vodka and infused with 8 to 20 botanicals. 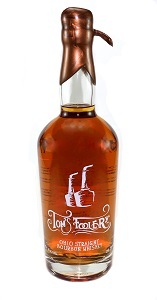 Our gin is full bodied, and gets a significant portion of it’s flavor from the base distillate (the apple brandy). 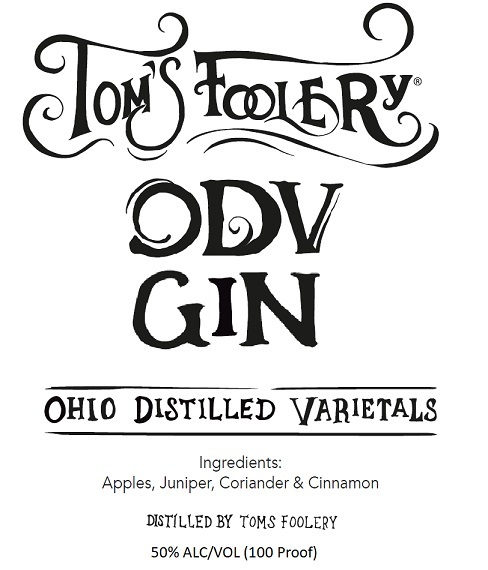 In developing the formula for Tom’s Foolery ODV Gin we tested over 50 gin formulas and many different botanicals, but discovered that this very basic formula (just apples and the three botanicals) achieved the perfect balance of flavor and complexity. 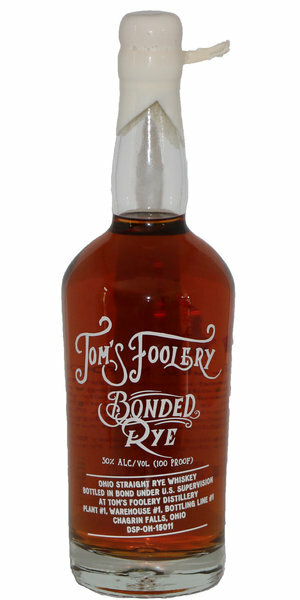 Here at Tom's Foolery we thought it would be fun to see what the different components of our Bourbon taste like when they are distilled alone. So we have a few barrels of delicious Corn Whiskey and Wheat Whiskey. We also have some barrels of Malt Whiskey aging away for the future. Looking to purchase within Ohio? Want to learn more about making Bourbon?